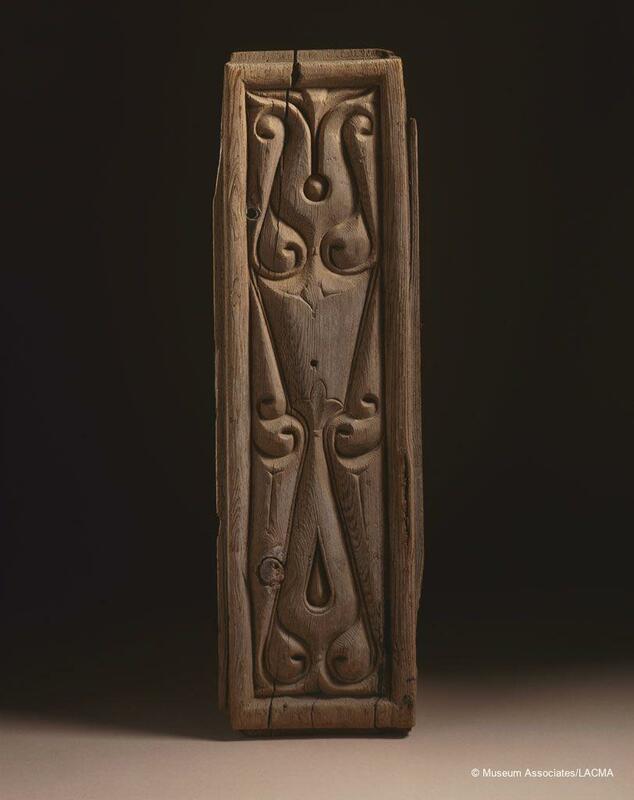 This carved panel comes from Egypt, where wood, on account of its rarity and cost, was decorated with care and used in contexts generally reserved for luxury materials. 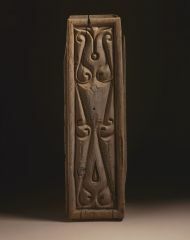 Although it is impossible to say how this wood panel was used originally, it is possible to assign it to the late 3rd/late 9th century on the basis of its distinctive decoration. Decorated in the bevelled style, the panel depicts highly stylised leaves that have been transformed into abstract motifs. As is typical of this style, it is impossible to distinguish between background and foreground or between natural and abstract forms. The bevelled style may have first been developed at Samarra, in northern Iraq, which replaced Baghdad as the Abbasid capital, from AH 221–279 / AD 836 to 892. This style was quickly adopted in other parts of the Islamic empire including Egypt.